As someone who has lost EVERYTHING on their computer because of not backing up with an external hard drive – I can tell you that Seagate is the way to go! 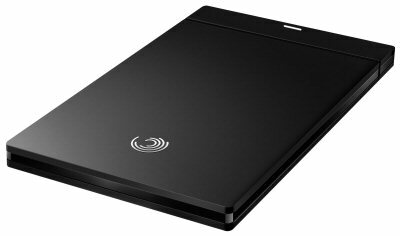 Dad is going to love the Seagate GoFlex Slim External Hard Drive this Father’s Day! With the ultra slim design (as slim as a #2 pencil) and the lightweight functionality of it, it’s easy to take with you whether it be on a business trip or to the local cafe. It features a fast 7200 RPM internal drive and USB 3.0 Plug and Play connectivity for up too 10x trandfer speeds. Not only that, includes backup software ensuring you will never lose those priceless photos, documents, and more! The GoFlex Slim hard drive is a breeze to use – literally just plug it in and watch it do it’s magic. It connects to your PC or Mac flawlessly, allowing you to sync files between the two so that you’ll always have what you need – even while on the go!